March 05, 2018 / Jen T.
It's inevitable. Either you're going to forget to wear green on St. Paddy's Day, or you're going to come across someone that did. 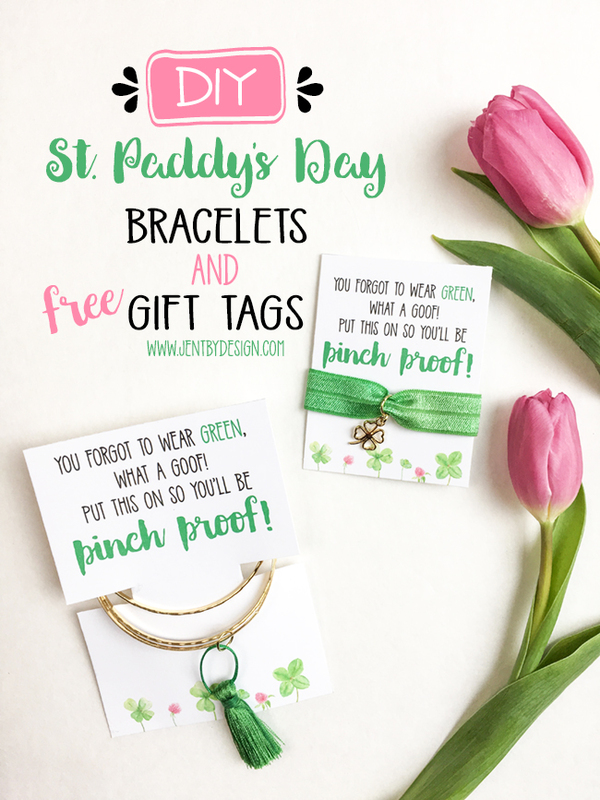 Well, if you make these St. Patrick's Day DIY Pinch Proof Bracelets, you can save yourself... and any greenless gals you come across...some potential pinch problems! They're ridiculously easy to throw together, they're super inexpensive, but what I love most about them is that they will totally brighten someone's day! Take some to work with you. Or to the grocery store. Send some to school with your kiddos. 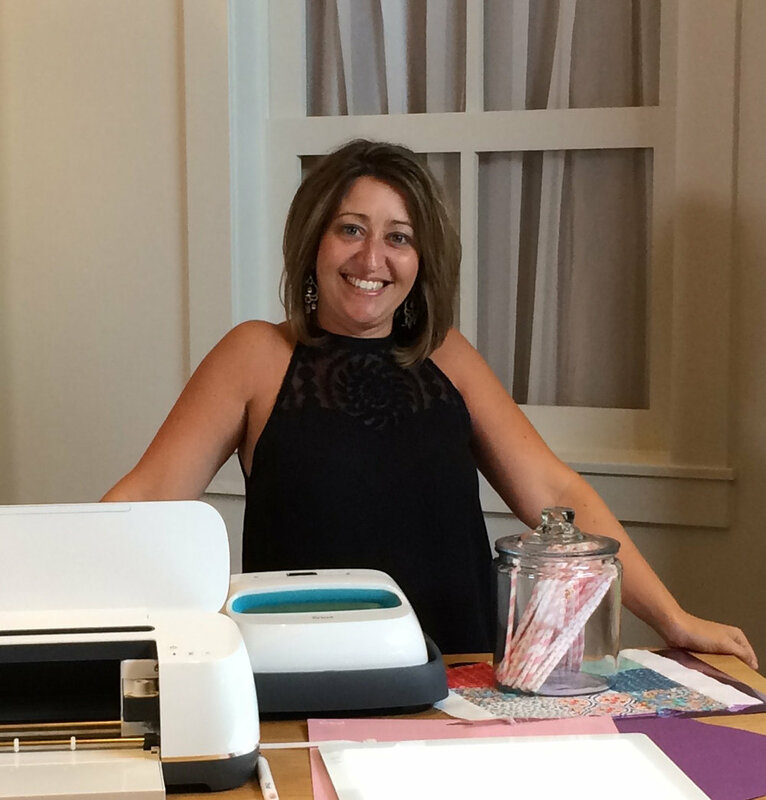 They are guaranteed to bring a smile to someone else's face...even yours! I'm including DIYs for two types of bracelets...one for bangles, and one for stretchy band bracelets. You can choose whichever you like best...or make both! I find that the bangles do best for adults, and the kiddos love the bands. Simply bend open a jump ring, feed the tassel loop and a bangle through the ring, then squeeze the ring closed. That's it. Y'all. SO EASY!!! There were 12 bangles in the pack I bought, so technically I could've made twelve bracelets. I like the way the bangles look when they're grouped, so I included three bangles in each set. To gift, make cuts in the gift tag and feed the bracelets onto the tag. I used some scotch tape to tape the bracelets to the card in the back so that they would display nicely, but you don't have to do that. To make these bracelets, simply cut a length of the stretchy ribbon to your desired length. I just wrapped the ribbon around my wrist so that it was snug, added just a wee bit more length for a knot, then cut there. If you choose to add a charm, bend a jump ring open and feed it through the charm ring. Bend the jump ring closed and feed it through the ribbon. 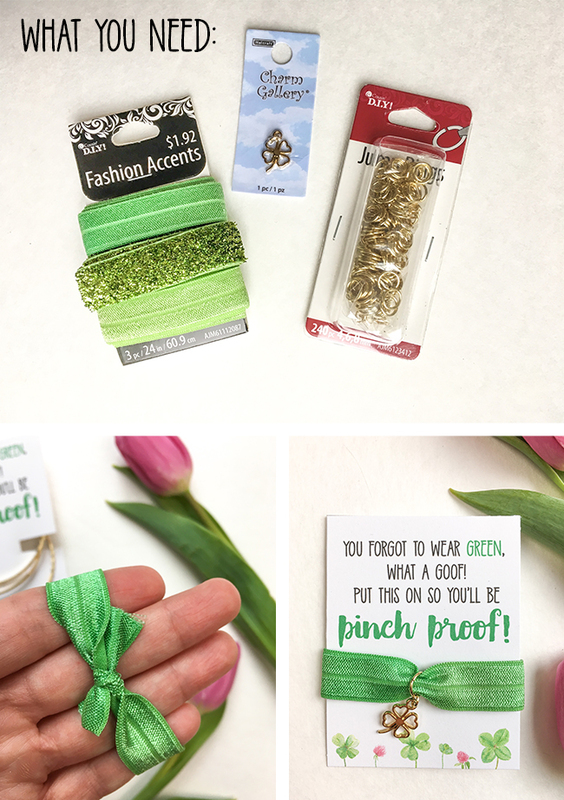 Tie the ribbon into a knot, then slide the bracelet over the gift tag.